We’ve all heard of Oktoberfest, but this year, as part of our year-long 5-year Anniversary celebration, we’re also going to have a Summer Fest because…well, who says you can only throw a big beer drinking party in the fall!? Mark your calendars for May 18th and make your way to The Glass Jug Beer Lab for an all-day celebration of great beer, rockin’ tunes, and delicious food. There will be plenty of fun and games for the whole family throughout the afternoon. Throughout the year, we’re going to be dropping some special merchandise just for the 5-year anniversary. We’re getting things started this week by rolling out our new 5-year anniversary glassware that is now for sale. It’s a small single-run of limited-edition glassware, so come pick some up while supplies last and help us celebrate every time you pour a beer! The Glass Jug moved into our new home - a bigger, more functional space in the same complex - in February of 2018. Now, one year after that move, we’re still working on making it feel like home. Craft Beer Advent Calendars are Back! Our popular Craft Beer Advent Calendars are back for 2018 and better than ever! We’ve got a new box design and TWO Glass Jug collaboration beers going into this year’s calendar. Get all the details and don’t let this holiday classic pass you by! The Glass Jug Beer Lab has a lot to celebrate as they wrap up their fourth full year in business. This year has seen the launch of a rebrand, a move into a bigger space, and the addition of an on-site brewery and beer garden. To commemorate the occasion, The Jug is hosting an Oktoberfest-themed celebration all day on Saturday, September 15, 2018. The party is complete with live music, food trucks, and lots of great limited-release and small-batch brews from The Glass Jug. We just announced the 4th iteration of our annual sour and wild beer festival with our friends at Sam's Bottle Shop and we are pretty excited about this year's event (which is happening on June 22nd and 23rd)! Why are we excited, you ask? For starters, we'll be releasing a new beer that will debut at the event. And, not just any beer. This is the beer that was brewed with Eric Boren, the winner of last fall's barrel-aged homebrew competition. "Brett on the Beach" is the sister beer to our recently-released "Brett in the Wood." It's a 100% brett-fermented saison that has been dry-hopped and aged in a rum barrel from Fair Game Beverage in Pittsboro. 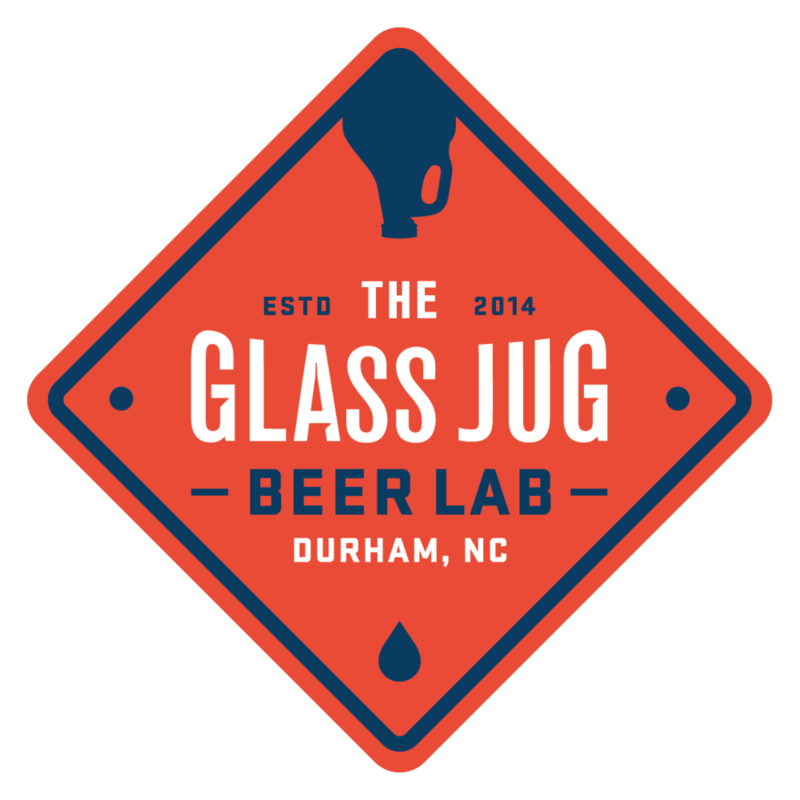 The Glass Jug Beer Lab, the Triangle's newest craft brewery, has begun brewing beer and will be releasing their first brews at a grand opening party, slated for March 31st, 2018. Look out for food trucks, live music, and of course, delicious small-batch craft beer! Our final construction update and a few favorite memories from Suite AF, as we say goodbye to our original location when we close the doors today. Huston, we have a brewery! The brewhouse and tanks were delivered this week, and things are really starting to look like a real brewery over here.